This is nothing but just a stone. Not even a photograph of a stone with a Hubble Space Telescope image inserted over it. Not a hologram prepared with some piece of glass inside. Not a gateway to alternative dimension. Just a stone. It's like a spacetime magician seized a piece of the Universe and confined it inside a stone. 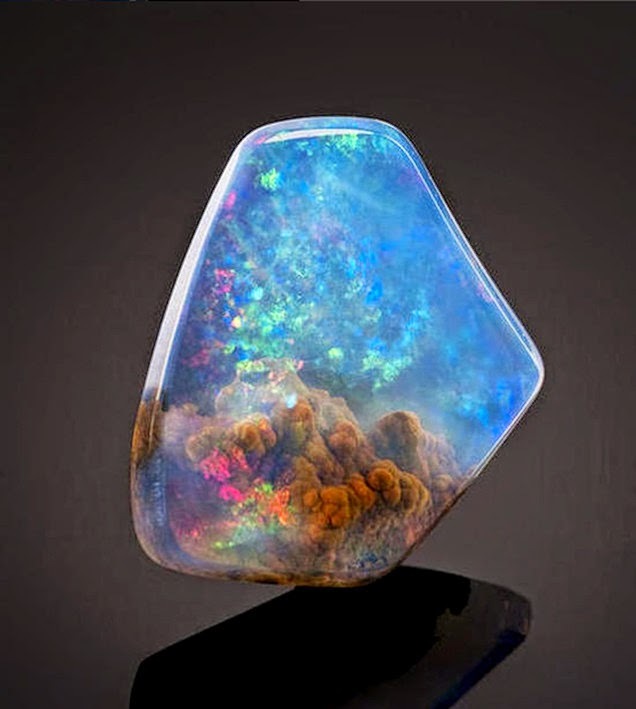 This normal stone is an opal. A "very fine American contraluz opal found" in Opal Butte, Oregon, according to Bonhams, the auction house which sold it last May for around $20,000. Their explanation says that the 4.6 x 4.4 x 1-centimeter gemstone is a "clear, transparent crystal body devising a fine, firey play-of-color that is gem quality.” For myself, I find it more attractive than any diamond or valuable gem.